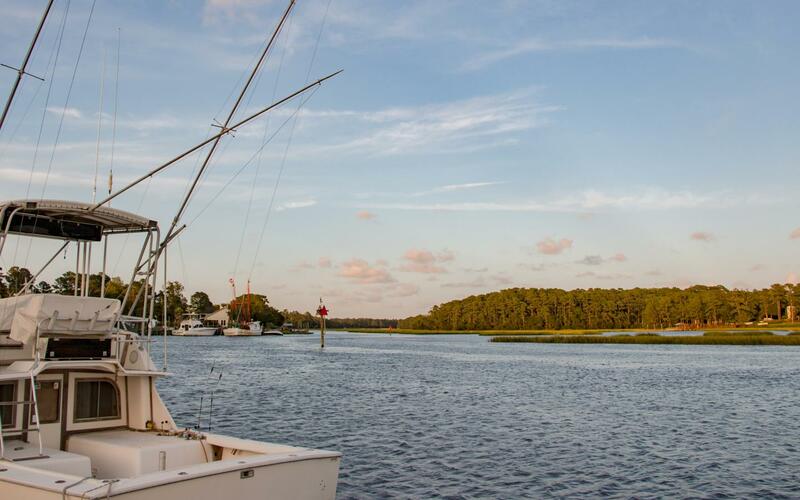 What would you recommend to anglers fishing in Calabash, North Carolina? Go in the early morning; gets hot quickly. Schedule more than a half-day if possible if you want to get to really good fishing. Pick up shrimp off dock at the end of your trip. Very tasty and very affordable. Have lunch afterward at the Waterfront Seafood Shack right at the dock; delicious, affordable and more authentic than the inside restaurants. Pay the extra and charter with Captain Ron.youll catch more, be more comfortable, and be more relaxed. The weather is tempermental at best during this time of the year. You could probably expect to get wet and the fishing is kind of slow. I would go in the spring or fall again. Come with an open mind, sometimes you hook big stuff, other times you hook the little stuff either way it’s fun on the water! Be patient it sometimes starts out slow but a good Capt. will put you on the fish before the trip is over. yes. but evaluate which charter you select. (4) four hour Inland charters translate to sea bass and Spanish mackerel in July. Larger sport fishing will require a further trip away from the harbor. Don't eat a heavy lunch prior to boarding. Us first timers got queasy. Other than that, sit back and enjoy. Double check what you are going out for, make sure they take credit cards and take motion sickness medicine. Rain or shine - be ready for fun. Ask the captain and first mate what fishing is good in the area during that time. Ask questions and have fun! Get the Dramamine in your system a day early and real very fast when a fish hits! Water was still cold this time of year so not a lot of different fish species are around. We did catch a lot of sea bass.